Hundreds of existing and prospective homeowners turned up to Tuesday’s launch of the SIDF’s latest housing assistance scheme, FREESH. 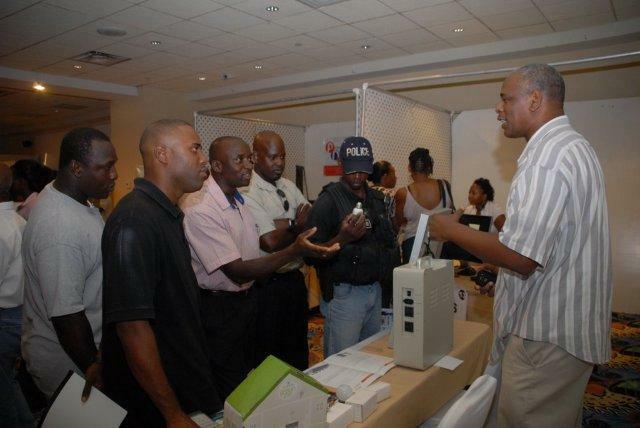 The Sugar Industry Diversification Foundation held an exposition at the St. Kitts Marriott yesterday (July 24) to introduce its Fund for the Realization of Economic Empowerment through Subsidized Housing (FREESH) and the Equity Assistance Fund (EAF). 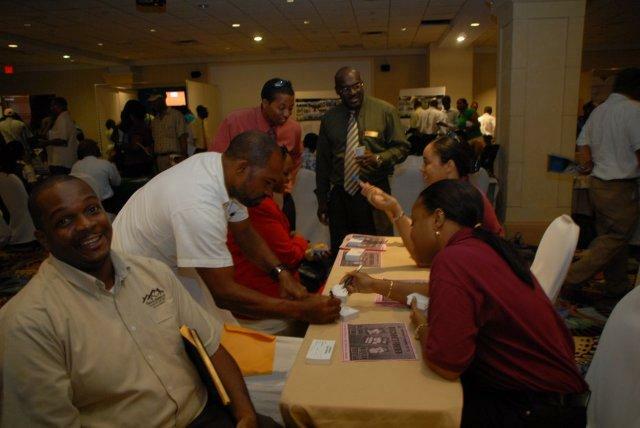 The 5-hour expo allowed interested persons to ask questions about accessing funding through the initiative and also interact with architects, furniture retailers, insurers, contractors and other key players in the housing business. According to SIDF CEO Terrence Crossman, approximately 600 hundreds persons turned up, which demonstrated that there was keen interest in the housing initiative. He explained how FREESH would function, providing equity for persons to qualify for home mortgages. “We will provide 40% of the money that is needed into the program at zero percent to the financial institutions and the other 60% will be their input. The output is that the customer receives the benefit of a house with a 5% interest mortgage.” Standard banking mortgage interest rates range from about 7.5-12%. The SIDF has provided 10 million dollars for the initiative, forty percent of the total input of the $25 million injected into the economy, Crossman revealed. 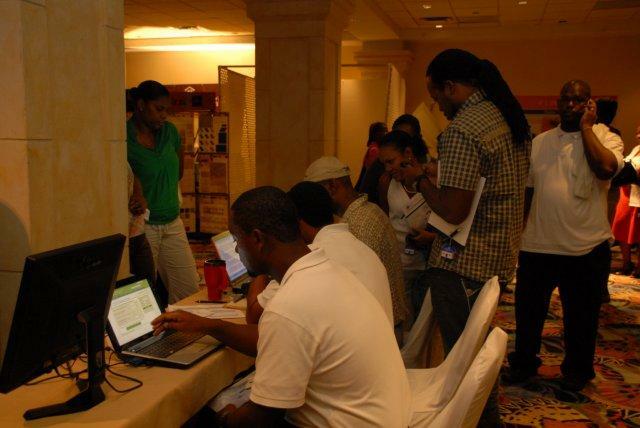 The four participating financial institutions are FINCO, St. Kitts Co-operative Credit Union, Bank of Nevis and Development Bank. He told The Observer that no mortgage of over $500,000 would be approved under FREESH and EFA initiatives. He said that persons who already owned land as well as those who did not could qualify for the assistance. Crossman noted that while existing home owners were eligible, the initiative did not apply to persons wanting to construct commercial buildings or those wishing to expand their homes. This housing subsidy initiative is meant to stimulate the economy and increase employment opportunities, the SIDF CEO explained. The EAF will provide equity for those not able to provide their own but who would have otherwise qualified for a mortgage. “We have supplemented this initiative with a program called the Equity Assistance Fund which is meant to assist persons who do not have the equity; that will provide it. Of course if persons have their own equity they will have to put it in but this is generally to assist people who do not have the means to put in equity but would have otherwise qualified. Persons wishing to apply can do so by logging on to the SIDF website and filling out the online application. Crossman said individuals would have the option of applying to one, some or all of the participating financial institutions. He pointed out that the decisions on who qualified for the subsidized lending was solely that of the banks and not the SIDF as the only difference between the SIDF initiative and applying for a home loan was the equity provided and concessionary rate. Everything would be done through the institution, he informed. “They would receive your emailed application and they would contact you and from there the application process would go forward and the banks’ lending policies would apply. We do not influence the banks’ lending policies at all. So we would give the bank 40% of the approved amount of the loan and the financial institution will provide the additional 60%. Crossman said that persons were misguided in thinking that only 12 or so home mortgages could be approved with the $25 million funding since not everyone will qualify for a house up to $500,000. FREESH was launched in Nevis on Wednesday and Crossman said he was heartened by the turnout. 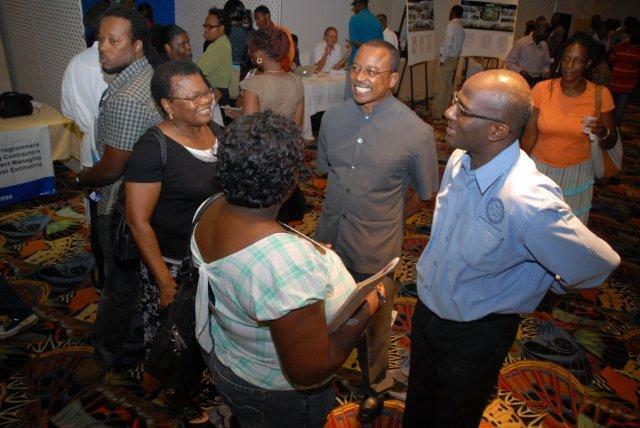 He said there was a steady flow of interested persons seeking information and the Nevisian public was “happy at the prospect of being able to build a home”. He said the SIDF would monitor the initiative to determine its level of success and evaluate if the Fund needed to do anything more with regards providing additional stimulus. 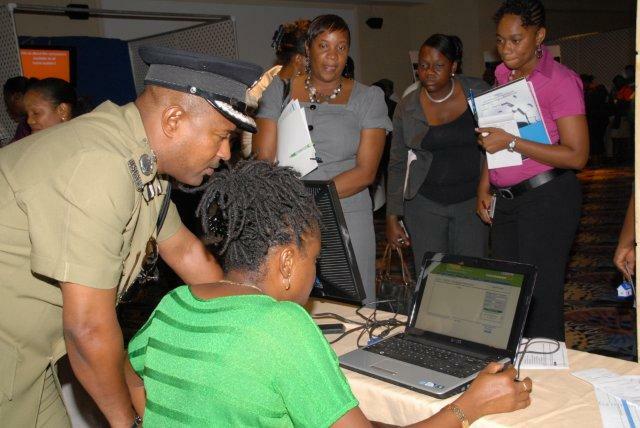 This article was posted in its entirety as published by The St. Kitts-Nevis Observer. Copyright © 2017 St. Kitts & Nevis Sugar Industry Diversification Foundation - All Rights Reserved.